Could Britain face being flooded again? Many areas across Britain were exposed to the dreadful wet weather that unfolded during the winter months of 2013 flowing into 2014 and after months of recuperation to try and get every affected area back to normal, new flood warnings have just been put in place. Britain is in line for some more terrible weather according to the latest forecast. The Met Office anticipates heavy rainfall across the UK and the areas that are going to be affected the most is South Yorkshire, Lincolnshire, and Humber. The heavy rainfall that is due in the coming days across the East of England may well result in flooding according to various forecasters. The Met Office has issued the region with a yellow stage warning of rain foreseeing that local areas could flood and this may disrupt various day to day travel. The Met Office stated that the wet weather is expected to continue up until Wednesday evening with 7mm or 2.76 inches expected to fall in the worst affected areas. From the observations of low lying rivers and surface waters in the East this is how the Environmental Agency came to their decision to place a flood warning risk. “An area of prolonged rain is moving up over the eastern region and it's not going to shift until Wednesday night. The rain is not exclusive to the east region but that's where the persistent and largest rainfall totals of between 50 and 70mm will be. Pretty much the whole of Great Britain will see rain at some point over the next 48 hours. This means there could be some localised flooding”. 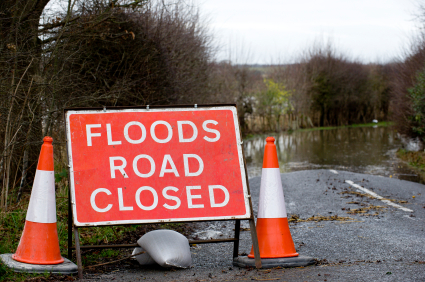 Overall the Environment Agency have issued around 10 low level flood alerts within the Midlands and South East especially in areas that are particularly close to rivers. Do you think that the flood defences have been modified and adapted as promised by the Government to suit the recent weather conditions that the UK has been subjected to?